These interests today are hidden behind motives that are religious, geopolitical, in “defence” of human rights, etc. At the same time, technological progress is leading to the production of increasingly devastating weapons that target the civil population more and more, justifying it as “collateral damage”. In contemporary society there are powerful social forces interested in wars, including the military-industrial complex, racist groups, radical nationalists and fundamentalists, organised crime, etc. The arms trade continues to be one of the most lucrative export businesses for many countries, principally the five permanent members of the UN Security Council. Everything has gone into crisis, except the arms trade which is permanently increasing year-on-year. It is not only wars and violence that have accompanied humanity in its historical development; we have seen in almost every era and in many geographical points the appearance of an attitude of ethics, solidarity and compassion that is revolutionary and humanising. Human existence is open to the world and operates in it intentionally. It can nihilise the world (and, therefore the body, nature and/or society) or humanise it. It is from this freedom where human beings choose to accept or deny the social conditions in which they are born, develop and die. All forms of violence manifest themselves as the denial of the intentionality of other human beings (and of course, their liberty), as an action to submerge another human being, or human groups, into the world of nature. It is this objectification which allows some to deprive others of their right to liberty, happiness and, ultimately, life. It is also this freedom which allows a minority to appropriate the social whole in a violent concentration of wealth and resources. So, a socio-economic system, international relations and existential rules have been organised that are characterised by violence, and which are considered to be normal for the most part, although personal and social pain and suffering betray the need to transform this system. Emerging from such experiences, nonviolence has developed as a methodology of action. Denunciations, disobedience, creating a void, strikes, protest, street mobilisation, personal and social boycott, and fundamentally, coordinated and simultaneous actions in different points are the principle tools of present-day nonviolence. From the anti-slavery and decolonisation movements, to the civil rights movements of racial minorities, workers and women, through to the opposition to totalitarian regimes, the arms trade, and, above all, nuclear weapons, active nonviolence presents itself as the only methodology of action which is coherent with its objectives. New Humanism has applied it since its inception, not to one conflict in particular but rather to the creation of a global system, a comprehensive change of direction for the world in which we live. Until human beings are able to fully materialise in a human society, that is, a society in which power is in the social whole and not only one part of it (subjugating and objectifying the whole), violence will characterise all social activity. Therefore, one cannot speak of violence without also speaking about the established world, and if this world is opposed by a non-violent struggle, it must first be underlined that a non-violent attitude is such because it doesn’t tolerate violence. It is not the case of justifying a certain type of struggle but rather of defining the conditions of violence that this inhuman system imposes. To conclude we can cite a few words from the “Humanist Document” of 1993. “Humanists are women and men of this century, of this time. They recognise the achievements of humanism throughout history, and find inspiration in the contributions of many cultures, not only those that today occupy centre stage. They are also men and women who recognise that this century and this millennium are drawing to a close, and their project is a new world. Humanists feel that their history is very long and that their future will be even longer. As optimists who believe in freedom and social progress, they fix their gaze on the future, while striving to overcome the general crisis of today. Humanists do not want masters; they have no fondness for authority figures or bosses. Nor do they see themselves as representatives or bosses of anyone else. Humanists want neither a centralised state nor a parastate in its place. They want neither armed gangs nor a police state in their place. The guidelines that we are giving have the objective of defining an organisational model that channels the impulse of millions of people who reject wars and violence in all areas of human endeavour. This therefore implies a worldwide organisation; one that is humanist, open and participative; where all its members take a full and active role in the overcoming of violence, the end of wars and military invasions and the elimination of weapons, be they nuclear or conventional. It is an organisation where every participant is responsible for what they do and build, but mainly where all the members collaborate and drive the construction of a better reality for the whole of humanity. From this point of view it is an organisation, working from the base, that organises itself at different levels, with the intention that these levels be a point of coordination for common actions. The basic structure of World without Wars is the “base teams” that develop their activities in neighbourhoods, schools, universities, workplaces, the internet, etc. Participation is open to everybody without discrimination. Any person who coincides with the basic objectives of World without Wars will be able to integrate into the organisation, joining as a full member, active member or a supporter, and collaborate with planned activities, participate in training sessions, and promote new actions. Full members: participate in meetings and take responsibility for their own growth, building their own capacities through the personal work that WwW promotes. Full members have the right to vote in the various levels, they are invited to do so and may present themselves in elections of different levels. They also initiate the development and formation of new Base Teams without geographical limitations. Full members are those who economically sustain WwW. Active members: participate in meetings, the drive growth through training on the basis of the personal works promoted by WwW. Active members have the right to vote in consultations but not in organisational matters. Supporting members: receive information, participate in activities and collaborate with the development. When a group of people agrees to set in motion WwW activities, meet periodically and go deeper into the practice and study of nonviolence in the personal and social fields then we are in the presence of a primary base organisation that we call a “WwW Promotion Group” (PG). This group not only instigates its own activities, but also promotes relationships and behaviour among its members based on the Golden Rule: “Treat others as you would like to be treated”. These promotion groups are coordinated in the first moment by those who set these groups in motion and develop them following the proposed objectives in the official documents and materials of WwW. When these promotion groups reach a minimal development (approximately 10 full members between full and active members, with a minimum of one full member), achieve permanence in their meetings, and choose one of their members to fulfil the team’s coordination functions through direct election, they become constituted as aWwW base team. The WwW base teams can generate links to other groups and organisations in their environments (interchange, joint actions and collaboration), but without establishing any organisational relationship with them. Growth: they orientate their actions towards individuals, towards other networks and organisations with the objective of making their proposals and tools known. Communication: they maintain fluid communication and interchange with other base teams and with other organisations with affinity to their objectives. Training: they attend to the progressive capacity-building of their members; offering them tools for overcoming internal and external violence. These studies and practices are to be found in detail in the official materials. Worldwide coordination is the responsibility of the “WwW World Coordination Team” (WCT), which is made up of 12 members and chosen through direct vote of the full members of WwW around the world every two years. The composition of the WCT bears in mind the representation of ethnic, cultural and regional minorities. The WCT has responsibilities of general worldwide coordination and can propose joint actions of various amplitudes and scope. Admission of organisations or fronts that act at a regional or worldwide level who wish to incorporate themselves as “supporters” of WwW. Any proposal or action that includes the modification of the official materials or important organisational aspects of WwW must be subject to a direct vote by all full members. National coordination is the responsibility of the “WwW National Coordination Team” (NCT), made up of 12 members, chosen through a direct vote by the full members of WwW in each country, every two years. It carries out the functions of the WCT at a national level. Summarising, the NCT and the WCT are permanent bodies of coordination which are elected through a direct vote by the full members. Other levels of coordination are transitory and respond to circumstantial needs and will be formed when needs arise (joint actions, forums, campaigns, etc), but will not have a permanent character, unlike the NCT and WCT. Spokesperson: responsible for representing WwW in institutional activities, in front of the press and in all activities or situations where it is necessary to present the points of view of World without Wars. These functions are elected through a direct vote by the full members of the respective teams (base teams, national or worldwide coordination) and have a duration of one year in the case of base teams, and 2 years in the case of national and worldwide coordination teams. These functions are at the service of the whole in accordance with the needs expressed by the full members. Those elected can seek re-election. WwW sustains itself through the voluntary contribution of its members. An annual membership fee is paid to sustain the joint activities with the participation of all full members around the world. Anyone may become a full member at any time on payment of the annual membership fee. The amount to be collected is defined by the National Coordination Team taking as a basis a percentage of the average salary of the country in question. The money is distributed in a proportional manner between the base teams, national coordination teams and the worldwide coordination team according to the proportion defined by the World Coordination Team. In addition, other monies may be occasionally collected based on needs that may arise, in which full members and supporters may participate in a voluntary manner. The amount of money in those occasions may never exceed the annual membership fee. In coherence with an organisation with a human base, the funds to sustain it come from the contributions of its members. 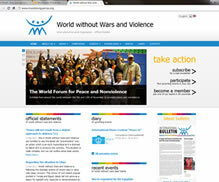 WwW is constituted at an international level as a non-profit making Federation. 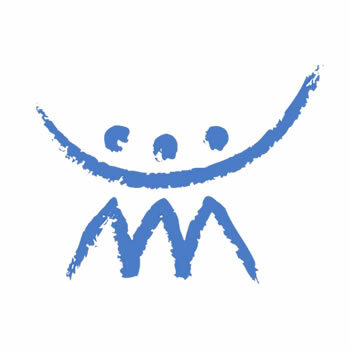 In accordance with the degree of development and growth of WwW in each country and with the aim of facilitating the development of the objectives in its relationships with the environment, teams tend to legalise themselves as “non-profit making association” (or however the name may be in each country). The statues or articles of association of these organisations will reflect an organisational model and principles identical to those proposed in the official organisational materials at a worldwide level.